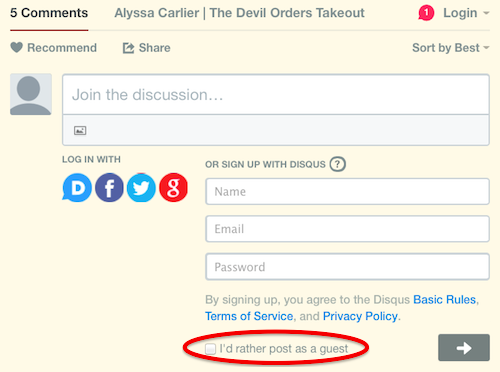 Alyssa Carlier | The Devil Orders Takeout: Writing Kitchens : How Can We Write Diversely? Writing Kitchens : How Can We Write Diversely? ETA: this post was written as a teen and may not reflect my current views. Leaving it here because the comments are gold. We have a tough topic and a long post, but it would mean the world if you stuck with me today because diverse representation is important and really, it doesn't need to be difficult. First, a word of philosophy: write whatever you want, so long as you respect (a) yourself and (b) other people. The following is only advice. We recognize all diverse experiences, including (but not limited to) LGBTQIA, people of color, gender diversity, people with disabilities*, and ethnic, cultural, and religious minorities. This may seem overwhelming. But this really, really long list is why I simply stamp my foot and refuse to calm down when people say, "Oh, I'm not personally familiar with any form of diversity, so I shall hide in my rabbit hole and write straight-cis-white-Christian-boy fiction." Approach 1 to Writing Diversely: Write what you know but others don't. Repeat after me: you have seen diversity in your life. This doesn't mean you must necessarily belong to some sort of minority or marginalised group or anything. One aversion is when for some reason you know a lot about a religion, culture, etc. because you studied it for a thesis or something. But let's say you have never learned anything but "mainstream" stuff. Open up your Facebook friends list, or Twitter following list, or whatever. Scroll through it. Then look yourself in the eye and tell yourself, "No one I know has a diverse experience." They are all heterosexual cisgender white able-bodied, etc. etc. etc. people. Maybe your cousin has panic attacks, or your best friend is Hispanic, or — well, you get the idea. Or maybe, you live in Hong Kong (hello there!) or Singapore or the Phillippines or Saudi Arabia or. My point is, every person is one step ahead of someone else in learning about diverse experiences. Find that step. Write about it. And if you're writing diversely from what you know but others don't, representation suddenly becomes not hard at all. Posts about how terrifying it is to write diversely without appropriation or stereotyping are everywhere on the Internet. But it shouldn't be terrifying to base representation off your own experience, because doesn't everyone base their fiction off their reality? This is why it was second nature for me to write Winner Takes All and Witches Black and Silver because even if I fail Chinese tests, I have lived Chinese culture. If I do use research, it isn't panicked "Tell me EVERYTHING about this country/religion/etc. ", it's "huh I heard that once is it true?" So the next time you want to scream "But I can't write diverse books!" remember this. Look for how your experience has differed from everyone else's. It's good practice for college app essay writing. OH. And. Support diverse authors, too. Aimee @ Deadly Darlings has a list for you. Approach 2 to Writing Diversely: Research your brain out. See, the one above was the easy one. This approach is the more common, though, and even if it's more difficult, this shouldn't stop you from trying at all. The reason diverse representation is so important? Thus far, the creators of books and other media have primarily been white straight cis etc. etc. people. Because they were more privileged, they also received better education and had more time to create and consume all this media. But the world is changing. Past "minorities" are now consuming media, and they are not seeing themselves in it. So we clamour for diverse representation, and because (a) many creators are still privileged and have fewer diverse experiences and (b) the status quo is difficult to change, always. So people fret. So everyone starts to exclaim, what if I get it wrong? what if I fall into stereotypes? what if I forget this really important thing and I get mobbed? why is the icing on the cake still white that's not diverse! HEEEEEELP ME! Not the last one. But the fear is real, and whenever I write outside my comfort zone, it happens. My Matryoshka readers, I hope, are prepared to calm me down with diverse cake when I panic. But it is possible. The Internet is an amazing place. Wikipedia, online encyclopedias, Tumblrs and blogs about different experiences. Diversity Cross Check is somewhere you can go to chat with people with diverse experiences, and intersectionality is fabulous here. And there's Writing With Colour and Writing in Variance and really, there is no excuse anymore to not write diversely because of unfamiliarity. If you're really worried? Talk to someone relevant. The blogosphere is an amazing amazing place. Tweet for help, DM people you sort of know, write a blog post saying, "I need betas who have experience being cyborgs and living off pine trees and worship three hundred deities." Again, not really. But in 99% of cases, when you ask, people will answer and help. And people are much, much better than websites, because like it or not, there is this thing called a collective memory. So if you try and say, romanticise the Opium War, I will come after you personally with a frying pan. (And this is why writing from your own diverse experiences will probably be more powerful than research and imagination cobbled together.) Behind the diversity, there are people. And one last note: by no means allow your fear of writing diversity "wrongly" stop you at all. Not one bit. Write your own diverse experiences, write someone else's — but write diversity. Which approach do you think is better? Also, recommend a diverse book in the comments! 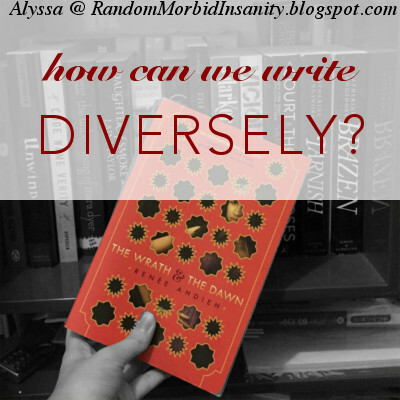 Writing diversely is important, but so is reading diversely. 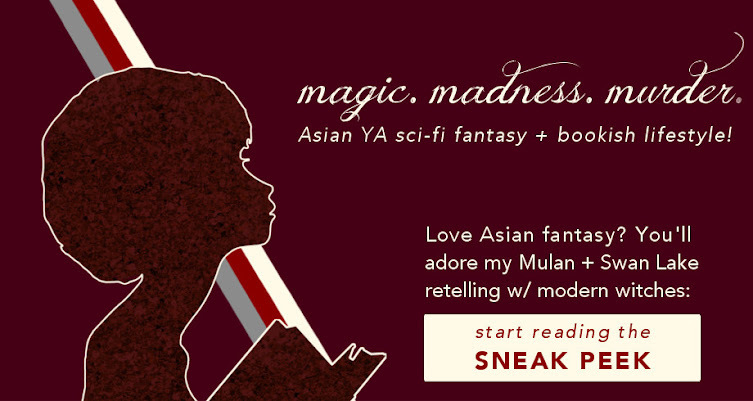 Join my takeout army and start reading my Mulan translation! Call it research if you're hoping to write a Chinese setting. The Writing Kitchens is an original blog feature on The Devil Orders Takeout that shows the behind-the-scenes of my writing and occasionally a line or two from my current project.